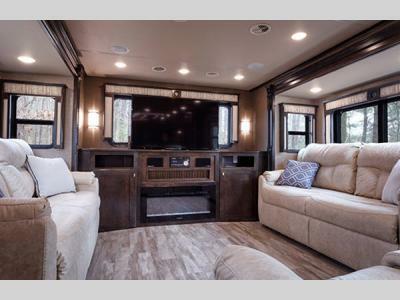 Choose a Vilano fifth wheel by VanLeigh RV for all of your camping adventures and enjoy everything that a luxury coach provides while keeping your pocketbook happy. 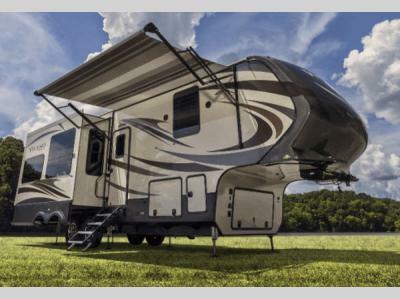 You will appreciate the upscale features like an 18 cubic foot French door refrigerator, and a king-sized bed. 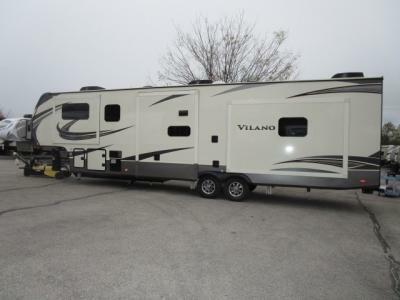 On top of all of that, each Vilano contains additional amazing features, like the Dirt Devil® central vacuum system and a convection microwave. Each Vilano model offers at least triple slides that create an open and inviting space when you decide to spend your afternoons indoors. 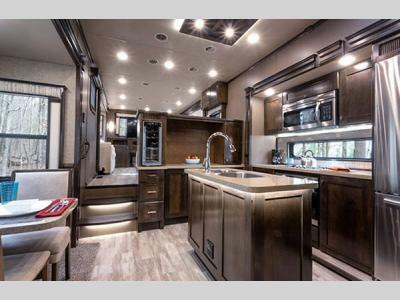 You will have no trouble cooking up meals and snacks while you are away with a full kitchen. 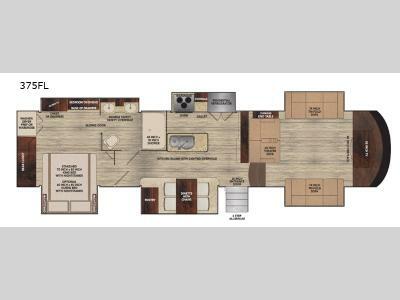 The complete bath, along with the private bedroom, makes every stay convenient and comfortable. So whether you are spending the weekend kayaking down the river or relaxing at a lakeside resort, you will be comfortable when it is time to head indoors to rest up for another fun-filled day! 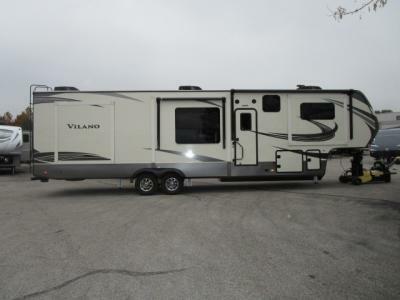 VanLeigh RV wants to take your camping experience to a whole new level with one of these Vilano luxury fifth wheels!